Literally, ask yourself, do I really know where my money is going? Furthermore, am I being a good steward over my money? Often times we can have money matters mixed up. For example, there is a difference between being able to afford something versus being able to pay for it; having wealth and having money; and budgeting versus balancing. The former tends to require effort and self control while the latter may have you broke, stressed, and unable to effectively manage your funds. When my husband and I married we had big dreams to ensure we followed all of the statutes learned in our marriage maintenance sessions prior to our wedding day. We knew that tithing was a big part of that. Unfortunately, the day after our wedding our financial life shattered. Not due to the wedding, thank God it was paid in cash, but due to an unexpected occurrence that changed our lives (another blog). So we ignored the thought of tithing because we couldn’t “afford” it. What we noticed, shortly after our “bright idea” was that our money started to become extremely tight. It almost seemed as if it was infected. And according to Malachai 3:8-11, it was infected. We could not get past our swamp of bills because we were being disobedient. At one time, we reached a really low point financially, so we came up with another bright idea to “tithe.” (Insert chuckle here.) We were convicted with money maintenance and gave God our issue. He gave us a heart to tithe. (Pause) When you tithe, it is an act of worship. It has absolutely nothing to do with the Pastor, the Deacons, or the Trustees and what you perceive they are doing with the money. God gave “you” a command to fill His storehouse. After you’ve done your part, that’s all you need to worry about. If you truly believe that God is a just God, you will also trust that He will deal with those that mishandle holy things. Don’t get caught up in judging someone else or you will be judged in the same way. If you need to search for a new church home, etc. that’s one thing, but don’t disobey tithing because of your criticism. Girlfriend, there is a difference between affording something and being able to pay for it. If you have to shuffle your bills and suffer your budget to purchase something, then you “can’t” afford it. Better yet, if you don’t have a budget, you need to get one fast. We have to learn to live within our means. Does this mean you can’t buy nice things? No. One of my family members has an affinity for authentic Gucci, Prada, Louis Vuitton, and the list goes on; however, she budgets her money by saving throughout the year before she goes on her fashion frenzies. I want to encourage you to make smart decisions with your money. Don’t take the scripture “Do not worry about tomorrow” out of context. It’s about worry, not about wise financial preparation. Be smart about preparing for hard times, “Go to the ant, you sluggard; consider its ways and be wise! It has no commander, no overseer or ruler, yet it stores its provisions in summer and gathers its food at harvest.” (Proverbs 6:6-8). I don’t want you to think you are to center your life and focus around money. But we should be good stewards of it. Are you leaving an inheritance for your children? Can you pay for a flat tire or collision without borrowing money? If you are snowed in, can you feed your family for a week or three (don’t mistake this for greed or hoarding)? Can you own your home or car? If you lose your job, can you manage your household for, at minimum, three months? This has nothing to do with status, but everything to do with the ability to manage your funds. You know that finances are a thorn in my side and I am thankful to know that You have set out a map for me, in Your Word, to follow. Help me to grow in this area realizing that I have to tithe to You out of obedience and to give to the needy as an offering of love, also through obedience. Help me to be a good steward and to think before I swipe, and pray before I purchase. Help me keep it in order. In Jesus’ Name, Amen! Ladies, I EMPOWER you today to look at your pocket book and do a self examination. Am I being a good steward over my funds? Am I tithing? Am I giving to those that need it? Is my house financially in order? The Proverbs 31 Woman had it right, read her passage here. I literally could not wait until this posted. I almost commented on it before I posted it. What you have spoken is the TRUTH!!! There are many things that I have paid for that if I am honest with myself I righteously could not afford. Saving and delayed gratification have always been challenges for me because I like to buy what I want and GO where I want to right now. This is a continual learning process for me because it is one of my weak spots. I make and don’t abide by budgets ALL the time but I am on the road to building generational wealth and I can’t get sidetracked with temporary satisfaction. I am praying for discipline so that I can be trusted with whatever God gives me. Thanks Kay for an awesome lesson. Girl, I have to say this to myself ALL the time. “Can you afford, or just pay for it?” Unfortunately sometimes I can’t afford it and “pay” for it anyway. But I am so thankful that those decisions are lessening as I grow. What an awesome, awesome post!! It’s now that I’m understanding the relation between me being obedient in tithing and giving back to God what is SO rightfully His, and “having” to tithe, you know?? I’m finally understanding it, thank God. For me, it was always a battle because the enemy would have me think that I couldn’t “afford” to tithe, but thank God I saw right through that lie!!!! I’ll be downloading the sample budget when I get home tonight and I’ll also be incorporating the envelope method as well. I’m claiming it right now….I will become a good steward over my finances!! Thank you so much for this information my Sister!! Stay blessed!!!!!! Hallelujah!!!! I declare! Lord, I will manage these funds as you see fit, help us Lord!! Girl, those dollars can really starts some fights, but in the end we’re both happy. I absolutely dread the “money talks” but hey, we have to do it if we want a better life for our pumpkin. WHOA!!! And being an educator, I didn’t even realize this was around “pay day”, you know we get paid the last working day of the month……..period, lol! Awesome word! I felt convicted as soon as you spoke about the shopping comparison of affording my wants. Needed this. Thanks so much. May God continue to bless you K.
God bless you!!! I’m comforted to know that with conviction, comes correction. God is good!! Kay, this word was riight on time!! I have been tithing reguarly and it shows because clearly my income is less than $900 and my bills total over $1,200… the difference between the 2 is proven in my faithfulness to giving 10% because Lord knows ALL my bills have been paid in full and on time! Thank you LORD!!! Like you and hubby, I tried other ways but nothing compares to obedience and since then the problem is not a problem any longer! Thanks for sharing. Maybe one day we will finally get it through our heads…………obedience is better than sacrifice. Are you a Jew living under the Old Testament? Notice God never commanded anyone at any time to tithe on their income. Why do those who quote Malachi 3 always start with verse 8? If you believe Malachi 3 applies to you, then you are putting yourself under the Old Testament laws; thus, you fall from grace. Hi Gary, thanks so much for your feedback, it is very informative. I’m a Christian, trying to walk by faith and not by sight, spirit and not by law. Which means I follow the ordeals of Christ sent by the Father. This also means I love how a Jewish Jesus loves sinners, Catholics, Protestants, and even Pharisees. I think you answered your own question about income from your earlier question about which tithe do we live under. The era you speak of used crops as income. If I were a sharecropper only being paid in crops, I should give my first and best fruits to feed God’s people. But we don’t get paid with wheat anymore, our capitalist society has transferred that to currency, which is still an increase. Thank God, through Jesus we are able to live a life of liberty, free from the law. But what that means is the law is not the determining factor to our destiny. It doesn’t mean disobey it. Because of Jesus, I can covet and repent (God is a just God, so please don’t mistake me). In the Old Testament, I would be judged by coveting only, stoned to death, and not a chance to repent for a second chance. I (not sure who the we’s are) start with Verse 8 because that’s the beginning of the clause that starts with giving. The most important part of that scripture, that you didn’t mention, is actually verse 6, “I the Lord do not change.” Which means, his commands do not change. But thanks be to God, our outlook has……….we can now live in eternal life if we accept Him. If I didn’t believe the Old Testament, that would mean, I don’t believe God created the heavens and the Earth, or that through obedience God will provide even when I don’t see it, or that my faith (even supported in the Gospels) is not strong enough to make me a father of nations (as promised to Abraham by God). I understand your point, but you may have missed mine. We should be good stewards over what God gave us, that means money, relationships, jobs, and our homes. Being a good steward means to take care of your business. Again, I appreciate your comment, but this site is used to Empower and Encourage. We do not stand to be argumentative when the word states it clearly of what we are to do, you’ve also listed some awesome scriptures here. I hope that all that read this understands that being free from the law means you have an opportunity to get it right……….living under the law meant we didn’t have that chance. It was all or nothing. Moses didn’t enter the Promise Land because of it. But God, who is Holy, and His Word that is Holy is everlasting and extends to everlasting. Be a good steward over your increase….PERIOD. Tithe out of obedience, love out of obedience, and worship God in all things. Oh and the “meat” in my house is referring to the Administrative functions of the church. Who pays for the lights, water, community donations, the church van to pick up those without a car, or the food to feed the homeless and needy? Tithes bring meat to His house. We have to be doers of God’s Word, and we have to know it before we speak it. I want to continue to encourage you to get in His Word and learn it. Let Empowermoments be a spring board to boost you into a greater study of God and the ordeals He has for us. 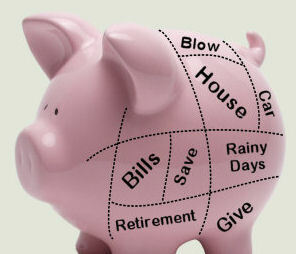 Tithing ABSOLUTELY brings the “meat” into God’s house for all of the above to be taken care of. Absolutely!!!! Where would we all be if it weren’t for those who worship Him, are obedient and give accordingly???? God have mercy…. Yes, Dee. If you are blessed to be a member of a church that unites to support your community and others in need, it really encourages you to not only tithe but to extend an offering through volunteering as well. WOW! This was a great message! I’m definitely growing when it comes to tithing. God loves a cheerful giver! Yes, but the cheerful part is the hard part, lol. I’ve learned that my cheeriness lies in “thanks” and being grateful to even have an increase to tithe from. Extremely wise post and comments! Girl, it’s so interesting to see these released, by the time they are I am reading it as encouragement for myself is well. God is so on point like that!